We take the Internet for granted now, but a lot of developments helped to make it the gargantuan shopping, socializing, commerce-helping, video-sharing behemoth what it is today. In this two-part retrospective, we didn't try to re-create the history of the Internet. Instead, we focused on online events that were game-changers when they occurred. For our discussion of earlier milestones (1978 through part of 1996), read "20 Game-Changing Events That Shaped the Internet, Part 1." It began as a college project of Stanford University students Sergey Brin and Lawrence Page after they met in 1995. Called "Backrub," the project was the start of a joint idea in 1996: creating a better "search engine" that would allow people to more accurately find information on the fledgling Internet. But it became so much more. Renamed in 1997 and incorporated as a company on September 7, 1998, the Google brand now encompasses a myriad of products and services, including Google Docs, Gmail, Google Calendar, Google Earth, and Google News. Google continues to be the most-used search engine in the world, with 89.4 percent of the search market, according to March 2011 statistics from StatCounter.com. Google search rankings make or break companies, and determine their business success. Millions of people around the world use Google every day in a wide assortment of languages. Which search engine do you use most often? I'm betting that it's Google. When Craigslist began in March 1995, it was just a private online bulletin board with posts from software programmer Craig Newmark to his many friends in San Francisco. But so many people began sharing it and using it in the city and surrounds that its growth forced a move to a Website on the growing Internet in 1996. The site's first official domain registration happened on September 11, 1997, according to a Whois search. What made Craigslist so earth-shattering in the Internet world? It was all about free access, a simple interface, convenience, and good results for users. Craigslist postings instantly started helping people find jobs, sell vehicles, rent apartments, barter goods and services, find a housecleaner, and much more, all at no cost. It grew quickly, adding Boston as a second city in June 2000, and hundreds more in the ensuing years. Today, Craigslist listings are available in more than 695 cities in more than 50 countries around the world. It sees more than 50 million users a month in the United States alone, with more than 20 billion page views each month. Now that's exposure. With everything rushing to the Internet by the mid- to late-1990s, it was only a matter of time before the contents of printed books would also go online, giving readers new and easy ways to search, store, and carry reading material. 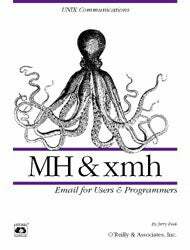 The first book recognized for being published online was a highly technical tome from the former O'Reilly & Associates: MH & xmh: Email for Users & Programmers . Written by Jerry Peek originally in 1991, the book was posted online in June 1996, under the terms of the GNU General Public License. Sure, it wasn't a book that you'd take with you on a laptop to read at the beach, but it was a groundbreaking start. The book advised IT departments on how to work with MH e-mail commands on Unix systems. The availability of MH & xmh online was a modest beginning that arguably led to what we now can get almost anywhere: e-books on electronic handheld devices. It was possibly the Kindle, Nook, and iPad of yesteryear, which makes its debut relevant and eye-opening. The first time the word Weblog was used online was in December 1997. The term was soon shortened to blog, and by early 1999 officially 23 blogs were in existence online, according to BlogHerald.com. Things have certainly changed. Blogs are everywhere, ranging from the personal rants of movie stars and regular citizens alike to corporate sounding boards for companies from tech vendors to toilet-paper makers. A May 1999 story on Salon.com detailed the new phenomenon of blogs and "Web journalists." A 2004 story in the New York Times identified Justin Hall as perhaps the "founding father of personal bloggers" starting on January 23, 1994, when he began his blog, which morphed into "Links from the Underground." Asked in a recent e-mail why he began the blog, Hall replied: "I thought the Web was amazing, and I wanted to participate in it! I saw how many silly pages there were on the early Web, and I thought Web pages can't be expensive or difficult to make. So I looked up a few basic lessons and tried my hand." From such simple beginnings emerged a movement on the Internet that gains new participants every day. When 18-year-old college freshman Shawn Fanning wrote the music-sharing application Napster and began to distribute it in 1999, he probably didn't know what would happen next. 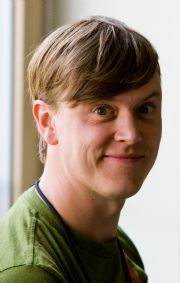 He created the program as a way to give computer users the ability to share and exchange music files using servers connected over the Internet. Napster users could take and leave songs for free as desired in small, easy-to-handle files that played on popular music players. It was great fun for students and music lovers, but it posed a threat to the very livelihood of the music industry, which took Fanning and Napster to court. A federal judge ordered Napster to shut down in July 2000, and after appeals were exhausted, an appeals-court judge followed suit, ordering a shutdown in February 2001. Colleges even felt the heat and banned Napster use on their campuses so that the recording industry wouldn't sue them in turn. It wasn't long before Napster as it was envisioned died on July 1, 2001. Its brief life, however, changed the music business almost overnight, and still has repercussions to this day.